A Midland hospital trust’s work initiatives for young people are helping local young people to start building their career in the NHS. Sandwell and West Birmingham Hospitals NHS Trust is running two projects, the Apprenticeship Scheme and Work Club, which have recently seen three of its Business and Administration apprentices thrive and become valuable members of staff within their Trust teams. Libby Marshall, Work Club Co-ordinator at the Trust, said: “Unfortunately, we cannot guarantee our apprentices’ permanent jobs at the end of the scheme; they do have to go through the application process which does include competing with external candidates. 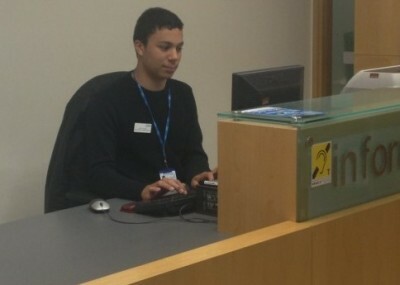 Working as an apprentice in the Trust’s Patient Liaison Service at City Hospital, Lewis Tyson (pictured left), 17, staffed the front desk on a daily basis providing information to patients. 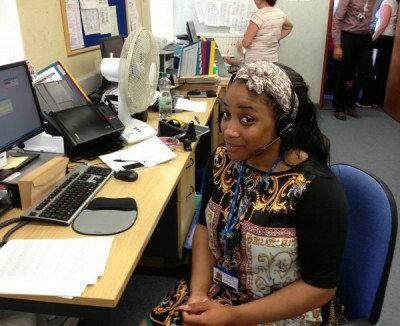 He said: “My apprenticeship helped me to realise I really wanted a career in healthcare. I wanted to be able to use my experience of liaising with patients during my apprenticeship and that of helping care for my grandparents and turn it towards a role in a caring profession”. 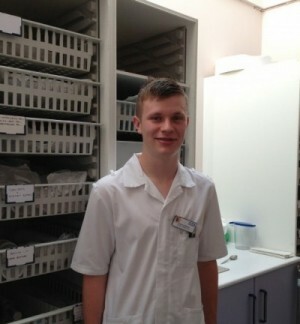 Lewis has since gone on to secure a healthcare apprentice role, working on a ward at City Hospital following his sparked interest in the healthcare field. The Learning Works, which runs the Apprenticeship Scheme and Work Club, is also a finalist in the upcoming Health Service Journal awards in the Workforce category for creating a dedicated centre in Smethwick. This is to help the local community access employment opportunities in the NHS.